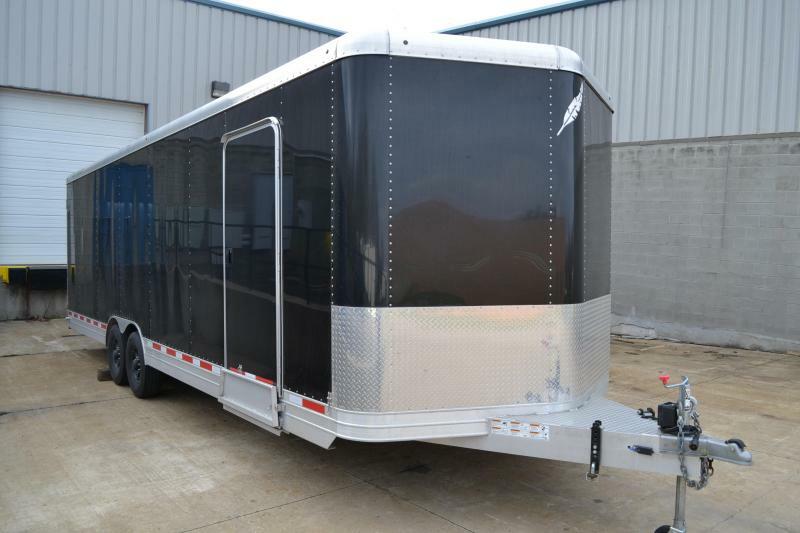 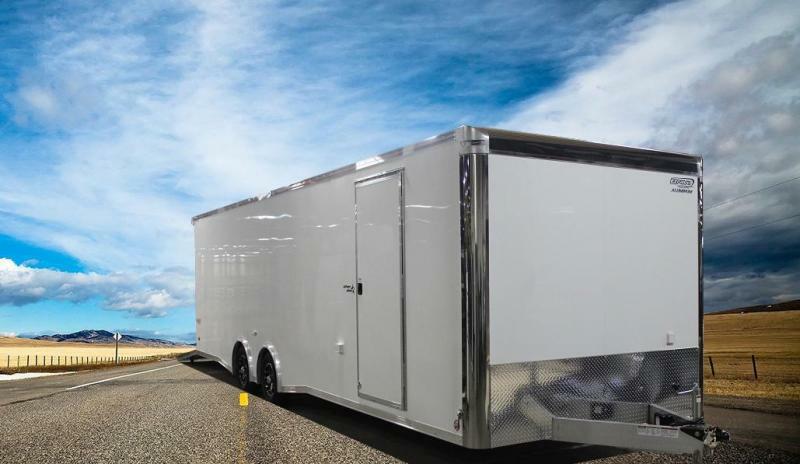 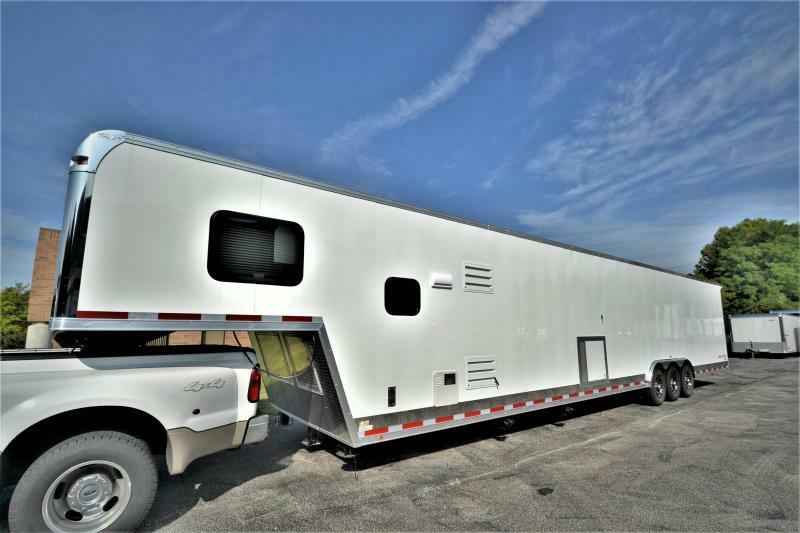 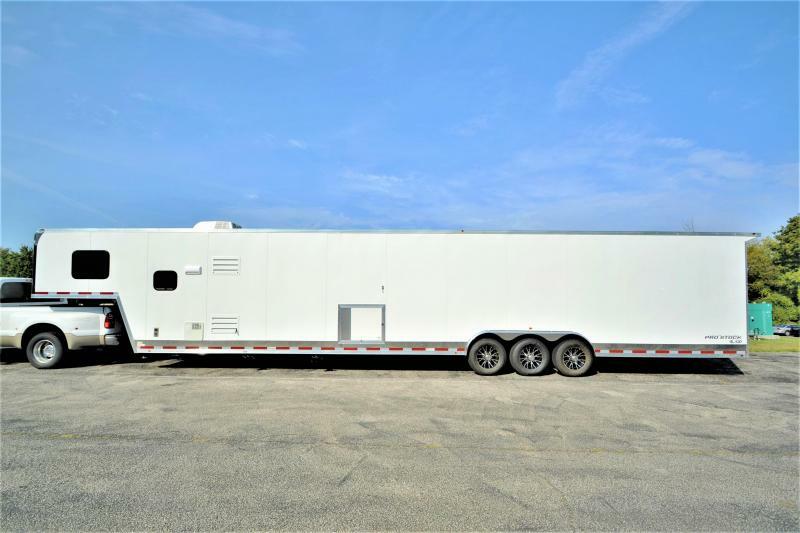 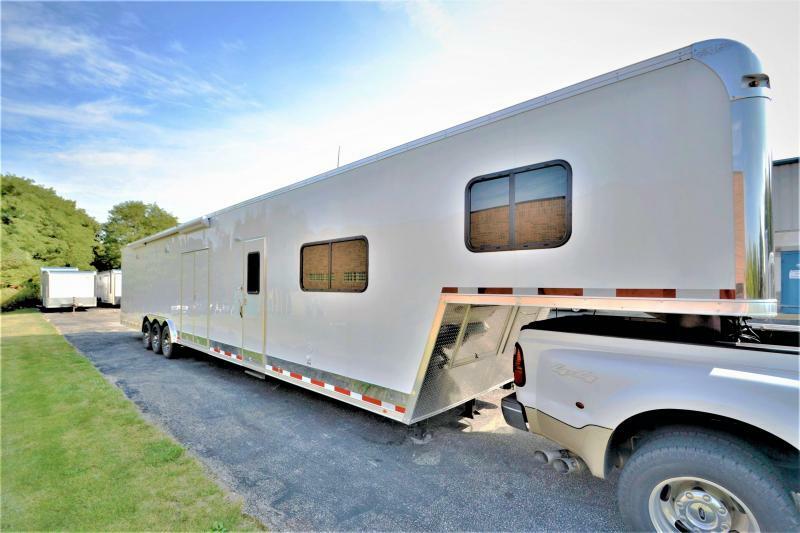 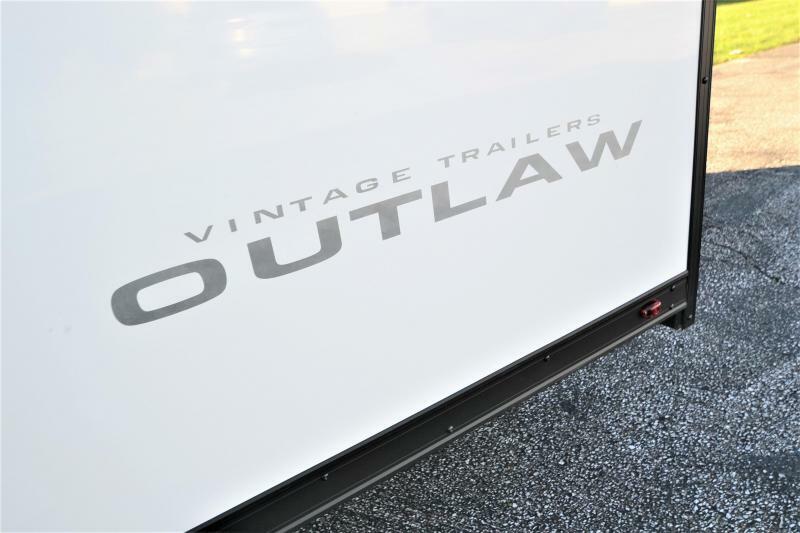 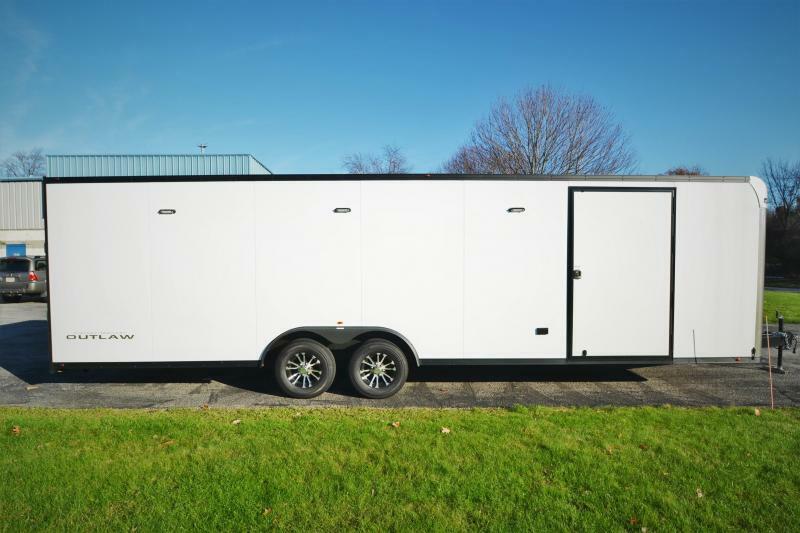 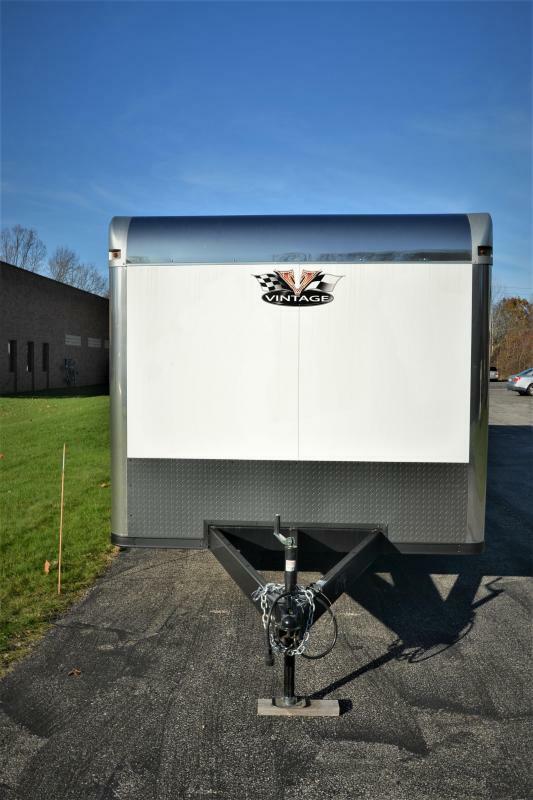 Take a look at one of the first Vintage 'Blackhawk' edition Outlaw trailers. 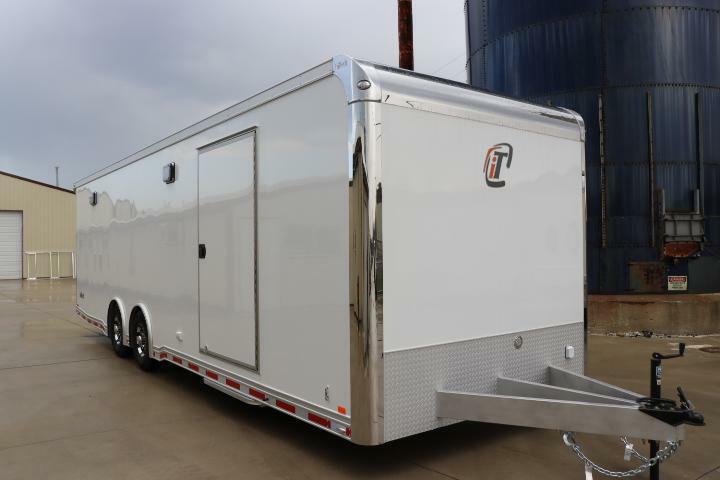 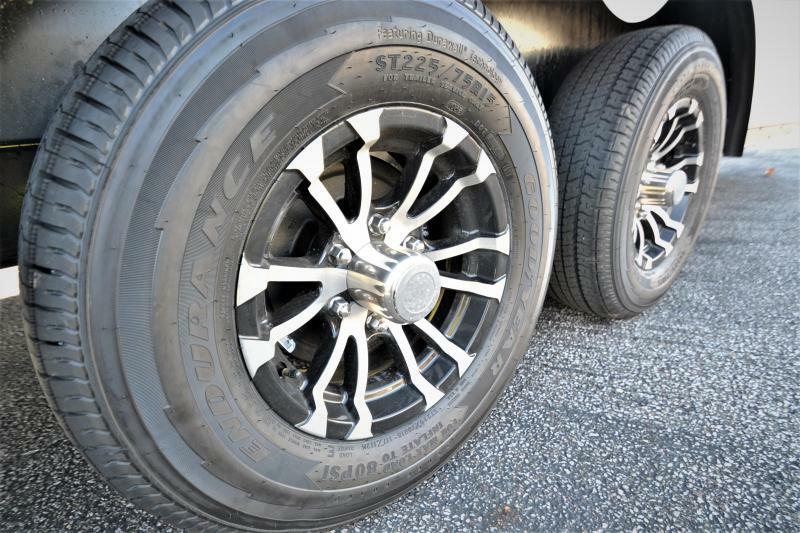 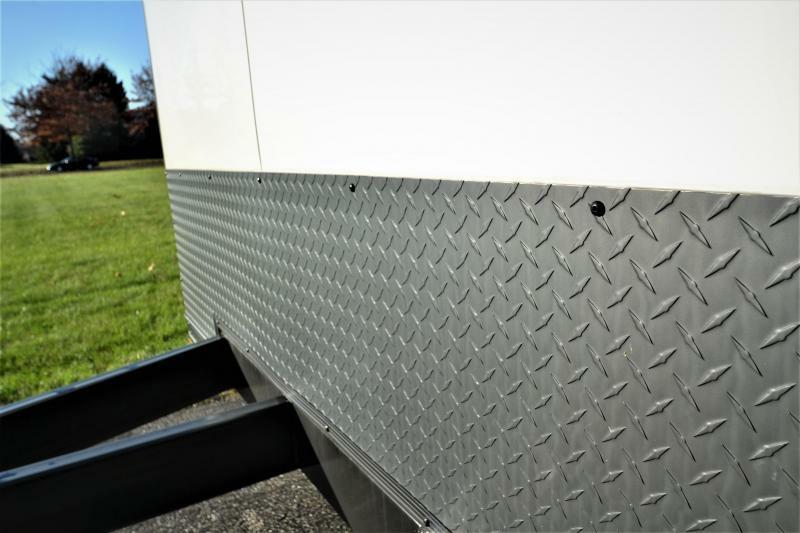 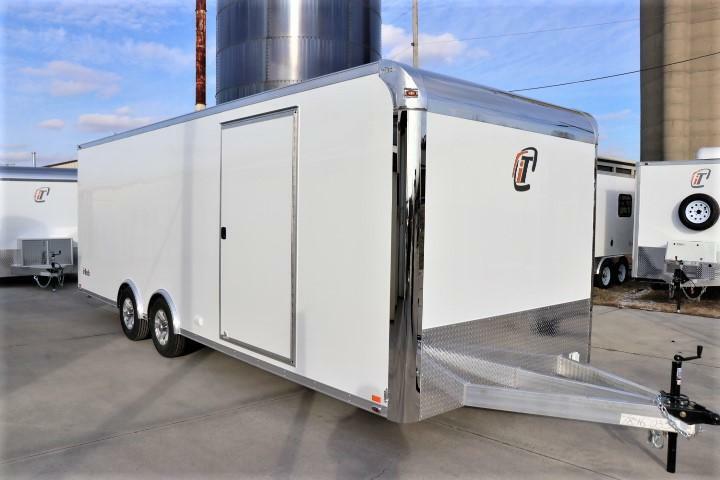 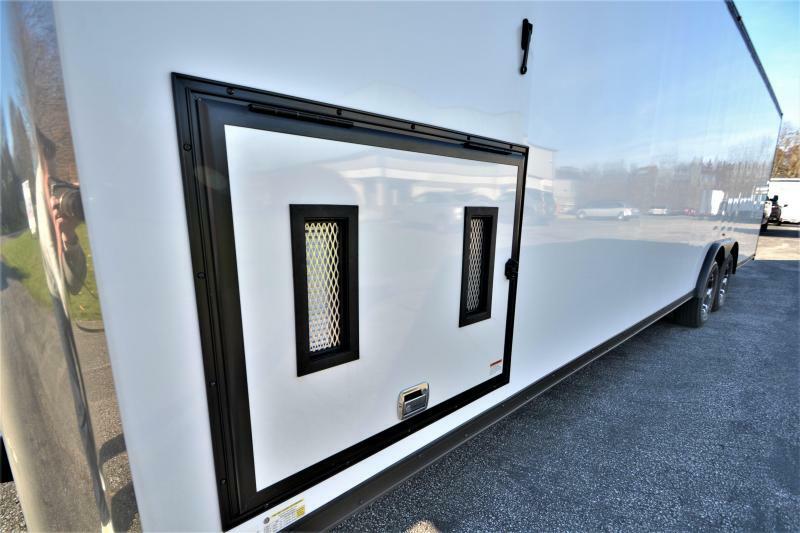 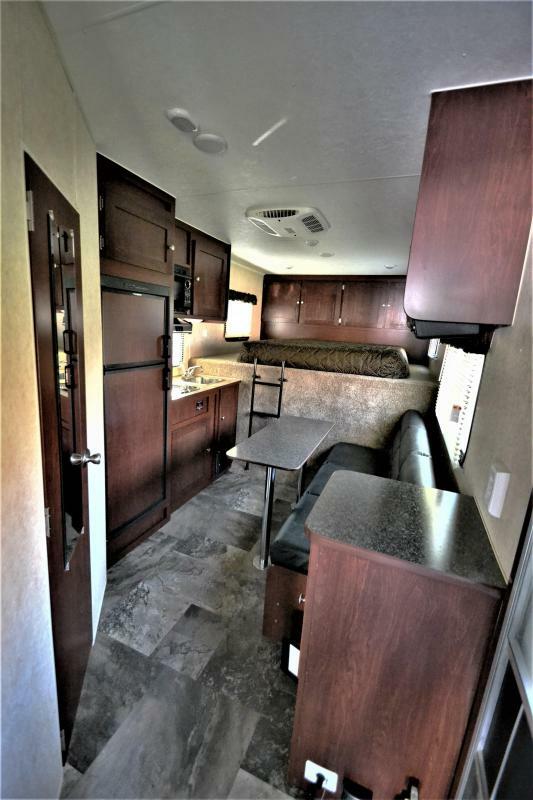 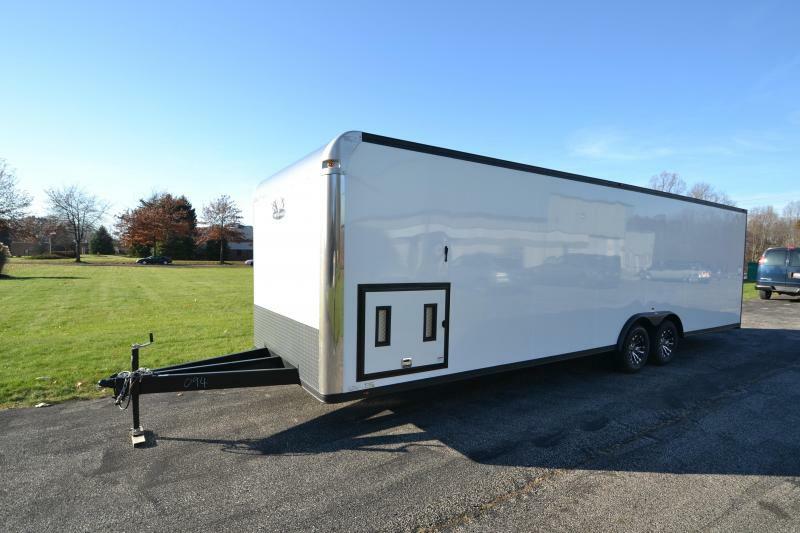 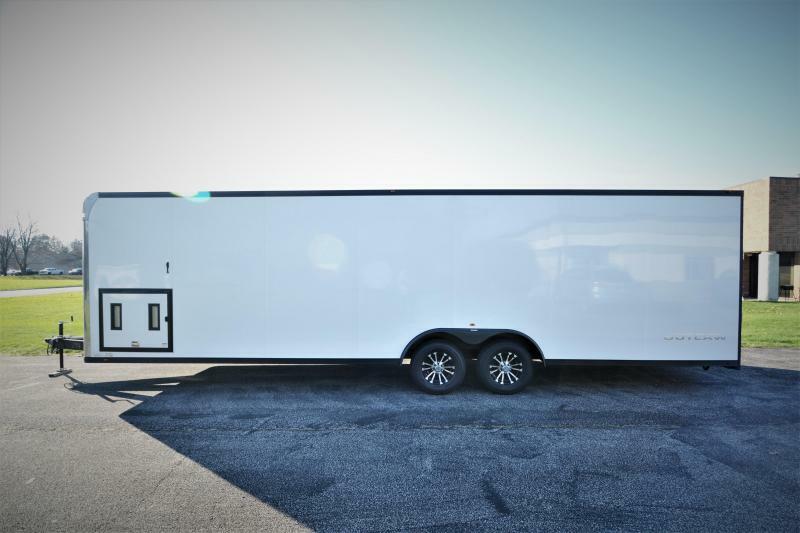 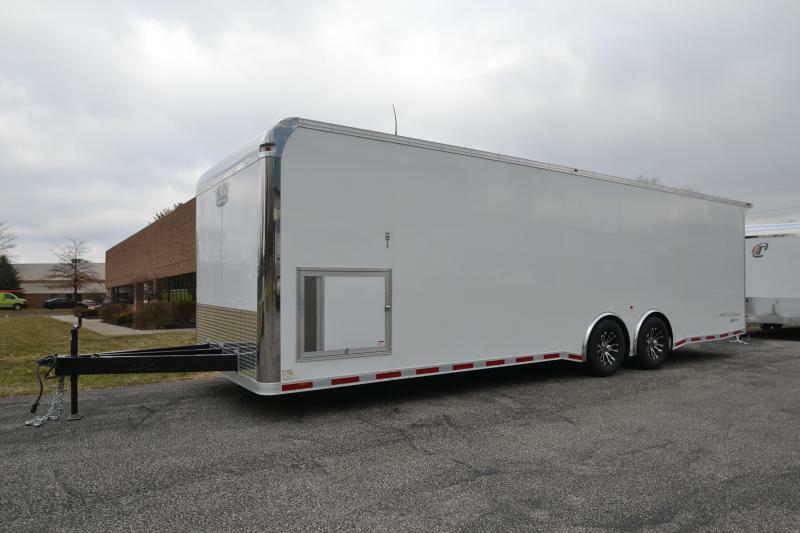 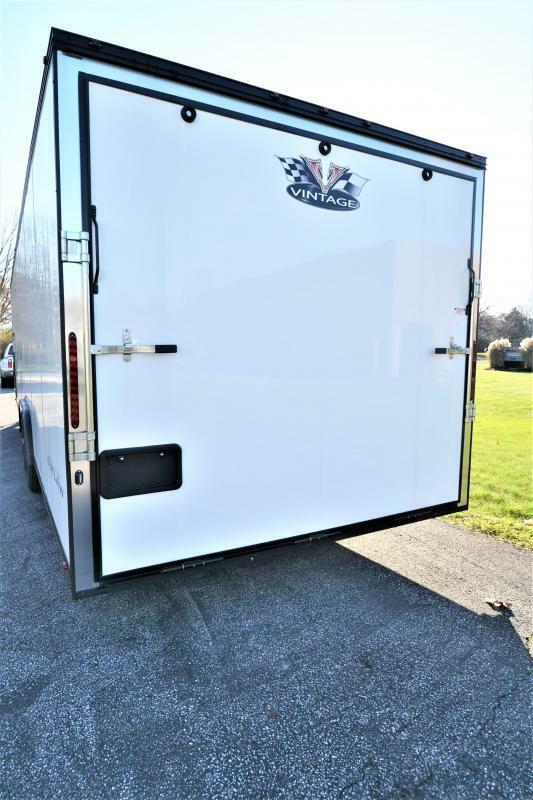 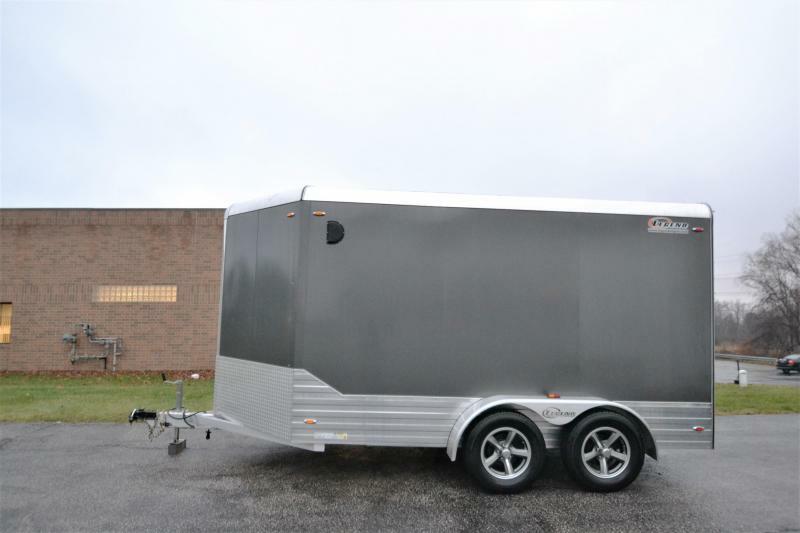 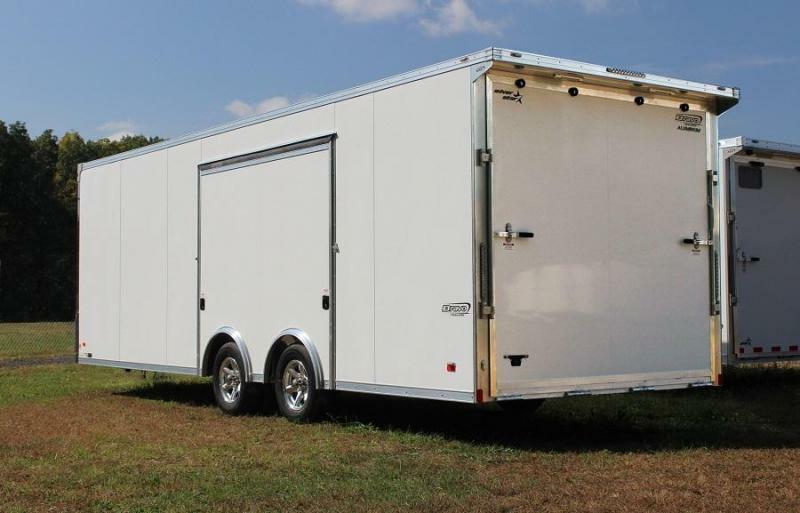 This 28' features the black anodized trim on the exterior of the trailer that sets off the white .040 exterior screwless aluminum. 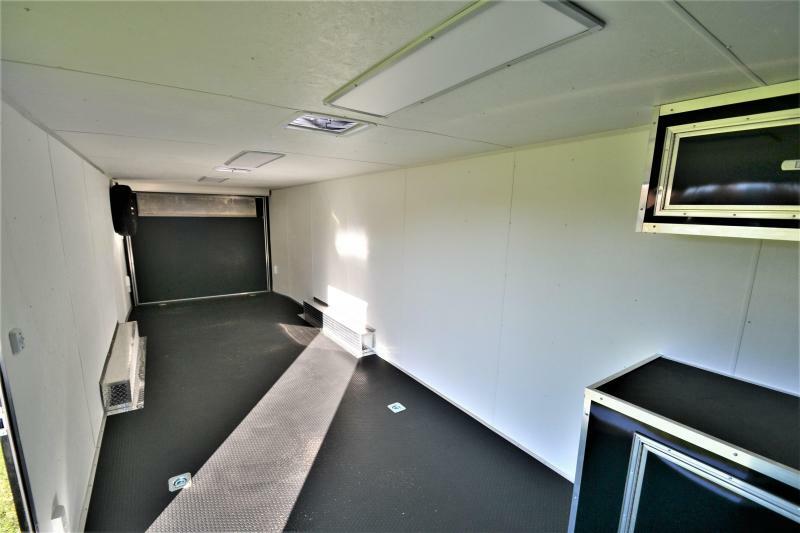 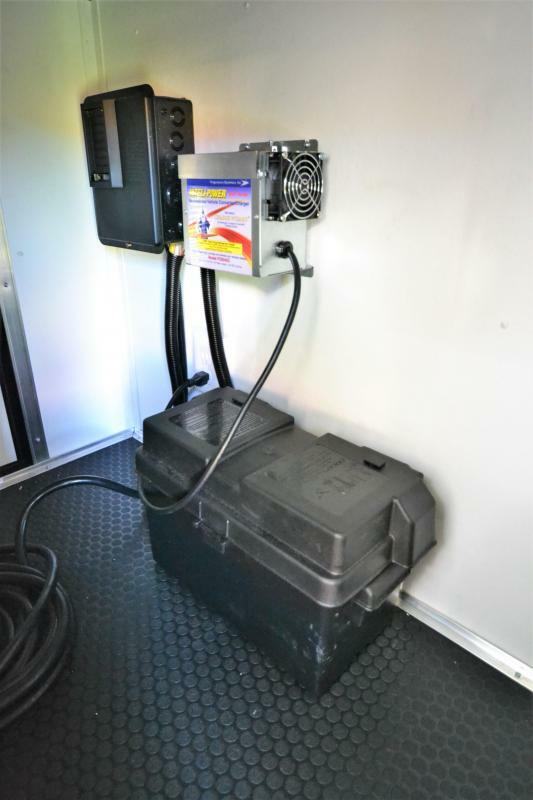 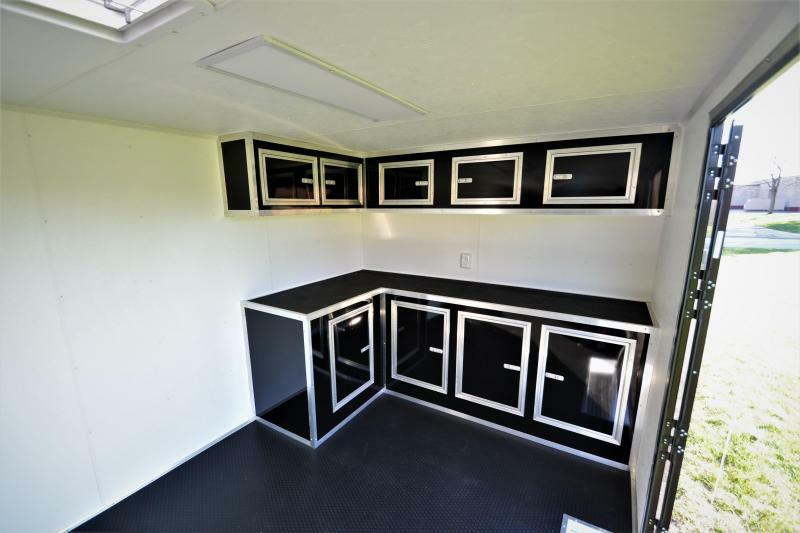 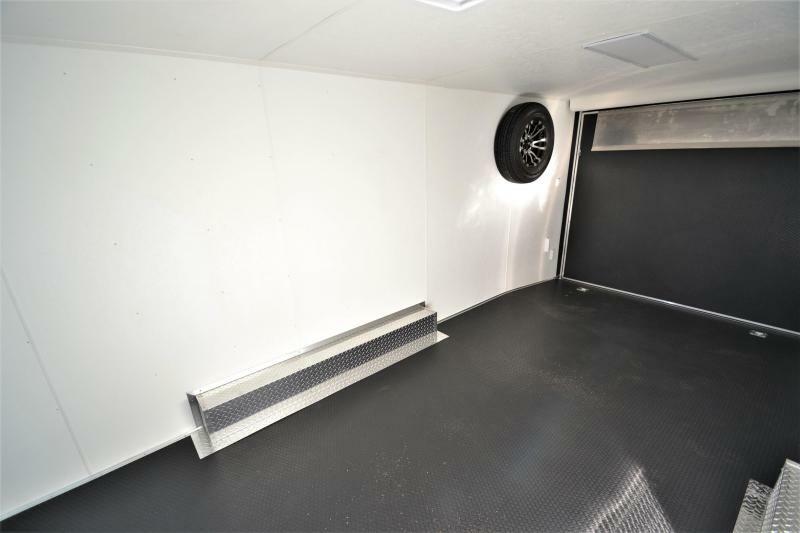 Inside it features a black "L" shaped configuration workbench and overheads, 48'' side door, LED 38'' ceiling lights, 12V Battery in box, 45 amp smart charger, 110V recepts, ATP wheel wells, 60'' triple tube tongue, TPO black coin flooring, (2) roof vents, (1) wired and framed for A/C, 30 amp panel w/ lifeline, (3) exterior LED lights on curbside, 36'' x 30'' generator door and 225/R15 Aluminum wheels and spare.